Kings Ridge Oxford Model (55+ community) - Beautifully maintained 2/2 with den, 1716 sq. ft. home. New roof was installed March 2018 and new AC in October 2018. Exterior recently painted . Home is easily accessible to both the main clubhouse and golf club via path just a short distance from home. Once inside step into the Foyer and enjoy the open floor plan and vaulted ceiling. Main living area offers formal Living and Dining area. Both are easy access to the kitchen. Family room sits off to the back. Kitchen has eating space and overlooks the family room area. Plenty of cabinets, closet pantry, appliances are included. Master Bedroom has walk in closet with sliding doors to patio. Master Bath has a walk in shower and vanity. Additional rooms are a den for your office or additional guest area and a second bedroom and bath. Kings Ridge is a wonderful gated community with 2 clubhouses, 3 pools, 2 fitness areas, plus the main recreational building has all kinds of activities including travel clubs, cards, crafts, events, shows, tennis, etc. This is also a golfing community so separate memberships are also available! Close to shopping, medial facilities, the theme parks and major roadways. 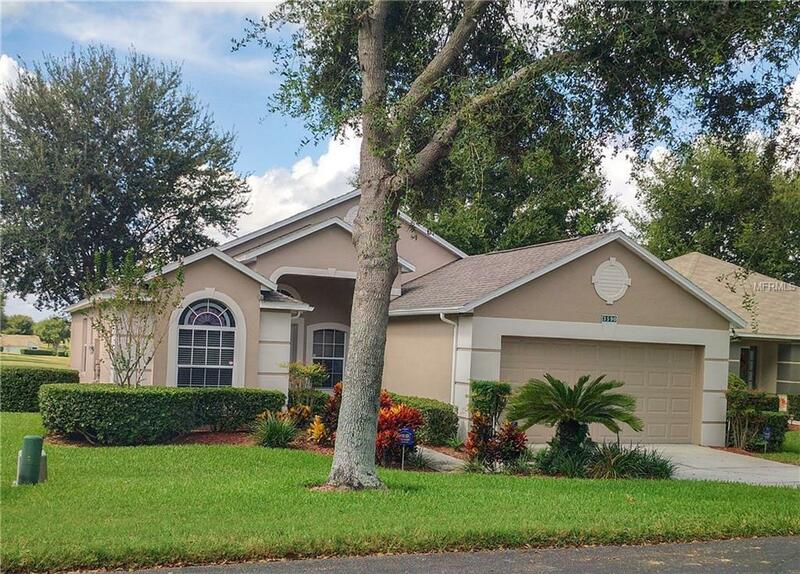 Listing provided courtesy of Central Fl Realty Connections.